Russian bailiffs recover $2.1 million in favor of Tsapok gang’s victims | Russian Legal Information Agency (RAPSI). 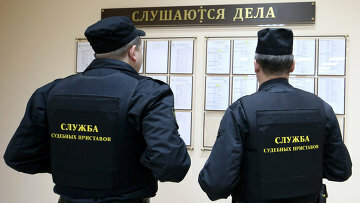 MOSCOW, February 1 (RAPSI) – The court bailiffs of Russia’s Krasnodar Krai region have recovered 119 million rubles (about $2.1 million) in moral damages in favor of the victims of the infamous Tsapok gang, the press-service of the Bailiff Service has stated. In September of 2017, a court in Krasnodar granted a lawsuit filed by an employee of the Bailiff Service’s seeking to recover the gang-related assets being in possession of third parties. It is noted that members of Tsapok family have yet to pay the victims 30 million rubles (about $533,807) more. On November 4, 2010, 12 people, including four children, were brutally murdered in the village of Kushchevskaya in the Krasnodar Territory in southern Russia. The family of wealthy local farmer Server Ametov was stabbed to death along with visiting friends and a bystander. The convicted killers started several fires around the house before fleeing. That murder became one of the most high-profile cases in modern Russia. The investigation revealed that the thugs had terrorized the village for years, and that some local police officers had covered up their activities. In November of 2013, Russia’s Krasnodar Regional Court found Sergey Tsapok guilty of mass murder and sentenced him to life in prison in connection with the attack. Tsapok and his group have been found guilty of other numerous crimes, including grave and exceptionally grave ones. 15:10 01/02/2018 The court bailiffs of Russia’s Krasnodar Krai region have recovered 119 million rubles (about $2.1 million) in moral damages in favor of the victims of the infamous Tsapok gang.